Trust Nutiva for the freshest, best-tasting products. Hemp is a gift of nature. 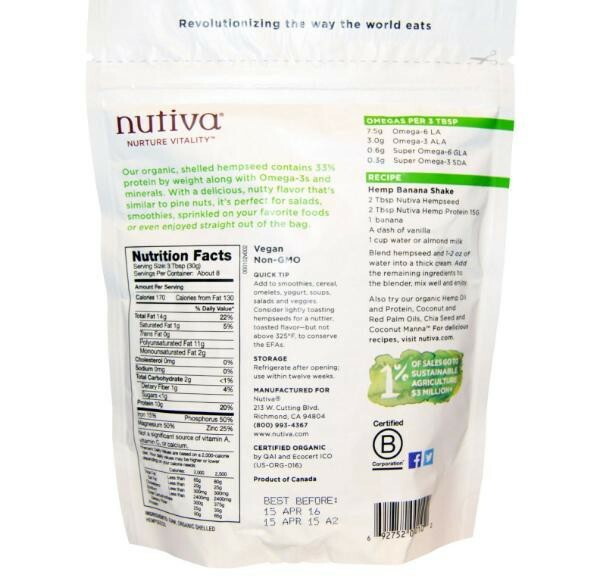 Enjoy the world's most nutritious seeds, either plain or as a delicious condiment. 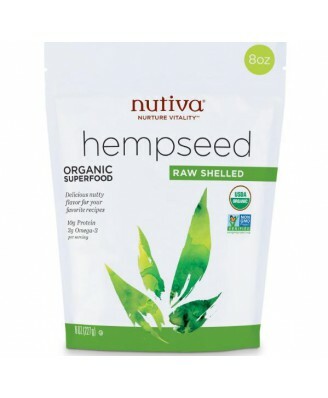 Shelled hempseeds are 33% protein, with Omega-3 and GLA-the healthy EFAs doctors recommend. We simply remove the seeds' hard shells, yielding a 100% raw gourmet product that tastes like pine nuts. Eat 3 tablespoons daily by adding them to smoothies, cereal, omelettes, yogurt, soups, salads, and veggies. Consider lightly pan-toasting the seeds-but not above 325° F, to conserve the EFAs. 3 Spoons a Day for Your Health! 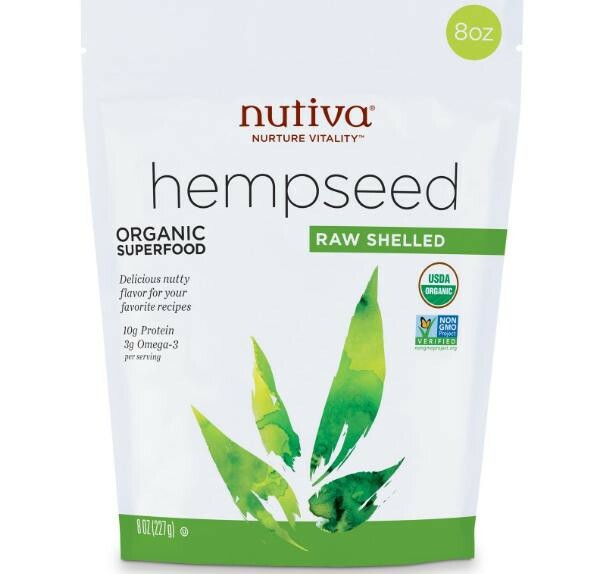 Blend the hempseeds and 1-2 oz water into a thick cream. Add the remaining ingredients to the blender, mix well and enjoy. Storage: Upon opening, refrigerate and use within eight to twelve weeks. Not a significant source of vitamin A, vitamin C or calcium.